The endless wait has now ended and a new chapter of your life is going to get start. Ever since the CBSE board examinations were over there were many tentative dates announced but today is the real D-day when the results are out and live and been made public for all. CBSE Board (cbse.nic.in and cbseresults.nic.in) to be declare Ajmer, Allahabad, Bhubaneshwar, Panchkula, Patna and Guwahati Regions Class 12th Result today i.e. 28 May 2014. Board has already declared the CBSE 12th (Chennai & Trivandrum Region) Result on 26th May 2014. While other region students are still waiting for their results. The total pass percentage for CBSE Class 12th (Chennai & Trivandrum Region) is 91.63 per cent. Go to the CBSE website, input your roll number, take a paper and pen and Celebrate! The Central Board of Secondary Education has just made the class 12th board examination result live on the official website. Near about 22.65 lakh students must be viewing their results right now for the exams which began this year on 1 March 2014 and lasted till 17 April 2014. Year by year the number of the students appearing the CBSE exams are increasing and comparing to the year 2013, the data reveals that this year nearly 20,000 more students appeared to write the exam when compared to last year. The reason may be that all the Kendriya Vidyalayas, private schools, all the government schools are affiliated by CBSE board and more and more government schools are converting themselves to CBSE affiliated schools which is popular and preferred by most parents. As well as to act as cherry on the cake the parents can afford the education CBSE schools offer for their wards. The students who didn't get the desired result and failed in one or more subjects must not fret or get disheartened, since he/she can apply for the supplementary examinations or commonly known as the compartment examinations which will happen in the month of June or July. 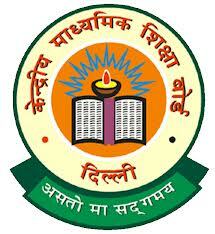 Expectantly, the CBSE board will announce the date for the supplementary exam in the forthcoming week or so.